Like all women you want to look and feel better which means shedding those few extra pounds. As most people know losing weight is easier if you combine diet and exercise but with today's economy going to a gym is simply beyond the budgets of most women. So, finding simple exercises you can do at home that will help burn off those calories can be a huge step in the right direction for those who want to lose weight. Here are a few exercisers that you can do at or around your home that will help take off those pounds. Walking is one of the healthiest and cheapest exercises available. All you need is a good pair of comfortable walking shoes and you are good to go. What's really great about walking is that this is one exercise that will fit your fitness level whatever it may be. If you aren't use to getting much exercise you can start with short slow walks and begin to build up your stamina walking longer and further as you get more use to exercise and start building those walking muscles. Keep in mind that even if you don't walk more than ¼ of a mile your first few times out that at least you are getting moving. On those rainy days when it's too wet to walk, you can get some great exercise by simply putting on some great music and dancing to the beat. Dancing two or three fast songs without a break will get your blood pumping and help burn off those calories Even if you break your dances up you can still burn some of those calories. Since dancing is so much fun it will be quite simple to spend an hour becoming a teenager once again and losing yourself swaying to the music. Okay Let's face it, no one is going to keep exercising if they are not having fun doing it, so maybe investing is a rebounder or mini trampoline is just what you need to help keep you interesting in getting the exercise you need. 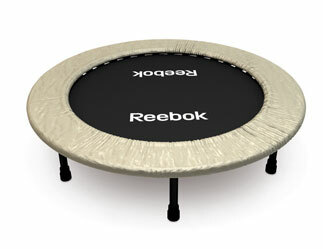 Rebounding is extremely low impact so it is great for older people and people who have joint problems. It's fun and it burns off calories quicker than you might think while providing many other healthy benefits as well. Grab the kids and take a bike ride in the park or down the road or even down that bike trail you keep talking about checking out. Bike riding is a great way to spend some time out of doors and get some exercise at the same time. If you go for a bike ride with people you enjoy then it won't even so much like exercise but more like spending time with friends. There are many ways you can find to get the exercise you need to help you lose weight at home. So get up, get moving, and watch those pounds melt away! Make sure that you use home exercises to stay on track when you cannot workout in a gym or do not access to resistance training equipment. The weight training for women's section deals with the best exercise to burn fat and get lean. Melt the Fat by Lynn Vandyke is an excellent Weight Loss Program for Women. Lynn Vandyke is a Certified Personal Trainer and Certified Sports Nutritionist. I highly recommend her program for women. Excellent Weight Training advice too..
“Melt the Fat”: A Complete Step-by-Step Guide To Fat Loss! Click here and start Melting your Body Fat Now!